This paper compares the forecasting performance of the Smooth Transition Autoregressive (STAR) model with the conventional linear Autoregressive (AR) and Simple Random Walk (SRW) models. The empirical analysis was conducted using quarterly data for the yen-based currencies of six major East Asian countries. 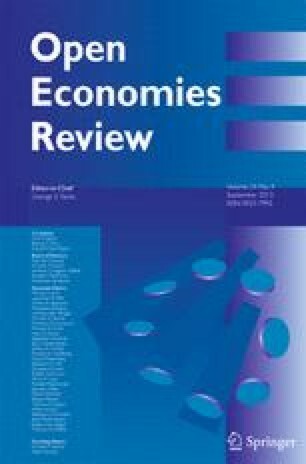 We discovered strong evidence on nonlinear mean reversion in deviation from purchasing power parity (PPP). The results suggest that both the STAR and AR models outperform or at least match the performance of the SRW model. The results also show that the STAR model outperforms the AR model, its linear competitor in a 14-quarter forecast horizon. This finding is consistent with the emerging line of research that emphasizes the importance of allowing nonlinearity in the adjustment of exchange rate.